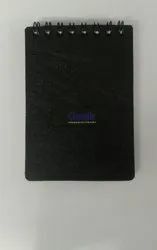 We have attained wide reputation in the market by developing best quality Cork Spiral Diary with Pen. 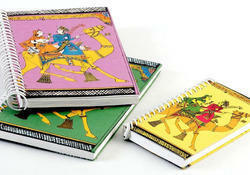 These diaries are handmade and developed from sustainable raw materials that adhere to the strict quality parameters. Ideal for personal and corporate gifting the jacket diaries are easy to maintain and can be cleaned easily. Cover Material: Hardbound Cover or black Opaque Sheet. With an impressive growth record in this highly competitive industry, we are providing a qualitative range of Spiral Diary. - B5and A5 size diary.